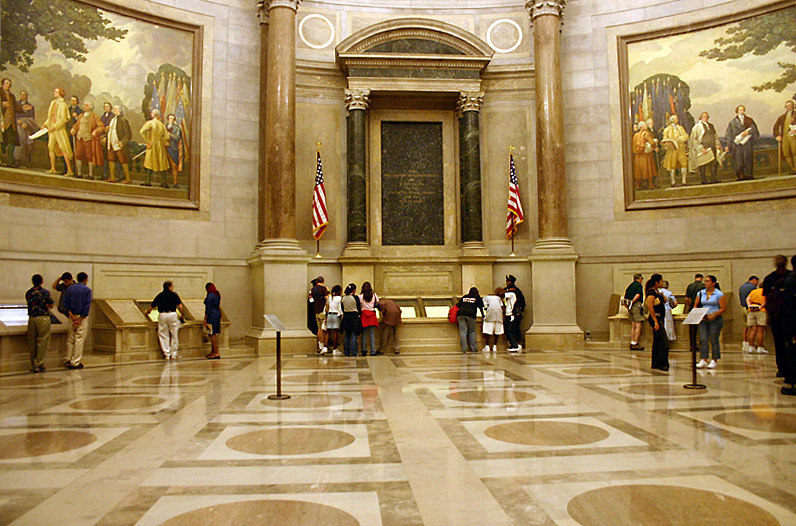 Rotunda for the charters of Freedom at National Archives (NARA) building in Washington, D.C. Here displayed are the Declaration of Independence, the Bill of Rights, and the U.S. Constitution. This work has been released into the public domain by its author, Kkmd at English Wikipedia. This applies worldwide.